As we head into 2018, there’s no shortage of trends facing folks who work in the facilities and data center arenas in commercial and industrial buildings. It’s always interesting, then, to take a look and try to predict how they will pan out in the coming year, and which technologies will play a starring role. This year, I expect companies will continue to see trends including the convergence of IT and OT (operational technology), as the two groups seek to work more effectively together to decrease costs, increase efficiency and reliability. Likewise, there’s little doubt the trends toward digitization and automation will continue unabated, as both bring significant business benefits in terms of creating opportunities and lowering costs. The more we digitize, of course, the more important it is that all these digital systems remain up and running, so business continuity will continue to be at the forefront. With that in mind, following are three enabling technologies that I suspect will play a big role in helping companies deal with these trends. Uninterruptible power supplies (UPSs) have long been a lynchpin of any good business continuity strategy, with their ability to provide clean, reliable power that enables businesses to ride through disruptions or failures in utility power. In 2018, expect to see some changes in UPSs, as lithium-ion (Li-ion) batteries replace more and more traditional lead acid batteries. Li-ion batteries are significantly lighter and smaller than lead-acid batteries, which means they can store more energy in the same space. Li-ion batteries also last as much as twice as long as lead-acid batteries, often as long as the UPS itself, as noted in this post on the topic. And they can withstand temperatures up to 40° C (104° F) without performance degradation, making them great for various industrial applications where heat is an issue. While this may be a longer-term play, I can also envision Li-ion batteries being used to store enough energy to help buildings and data centers ride through peak usage periods, rather than drawing additional utility power. That will help companies avoid peak demand charges from the utilities, which can quickly drive up electricity bills. Commercial and industrial companies will also continue to delve into Internet of Things (IoT) technology to help them operate their buildings and data centers more efficiently. Today you can put a sensor on just about anything and connect it to a building management system (BMS). This enables an unprecedented level of control over various building elements, including temperature, humidity, water, lighting, electricity and security. 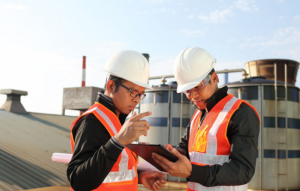 Already the technology is enabling greater efficiency and reliability in building and process management. As the technology matures, companies will find ways to fine-tune building controls to a near-personal level. Companies will also increasingly use IoT/BMS data to implement predictive maintenance systems for various building systems and industrial machines. In so doing, they’ll be performing maintenance only on components that show signs they actually need it, driving down costs as compared to traditional routine, calendar-based maintenance (more on that in a second). Schneider Electric’s EcoStruxure Platform was recently retooled to take greater advantage of IoT sorts of data, and to deliver it more effectively. EcoStruxure is a layered architecture with connected products at the bottom, edge control in the middle and, at the top, applications and analytics. Whether for buildings or IT, the platform can provide actionable intelligence that helps drive efficiency and reliability. The IoT is a great fit with artificial intelligence (AI) technology, which can take in vast amounts of data and quickly find connections and nuggets of information that drive real operational efficiency and improve decision-making. For example, Schneider Electric has a customer in the mining, metals and minerals sector that generates 2.4 terabytes (TB) of data every minute from its various ports, railways and mines. It feeds all that data to its predictive analytics and preventive maintenance systems, which are so effective the company expects to save $200 million per year over the next 3 years. Of course, AI requires high-performance computers to work effectively. IoT requires a fast, reliable network and, typically, a series of edge data centers where data is collected and massaged before being passed along to the central AI facility. The central and edge data centers are equally critical to success, so both require highly effective power protection. Companies should turn to their electrical contractors, IT solution providers and others in the ecosystem for advice on how best to ensure the systems can withstand any power disruptions. In short, as we enter the new year, it’s clear companies will be relying on power protection systems more than ever if they are to implement the sorts of IoT and AI systems that will help them operate more efficiently and be more competitive. The good news is with the advent of technologies such as Li-ion batteries, and other recent UPS developments, stand ready to help. Learn more about power protection solutions.